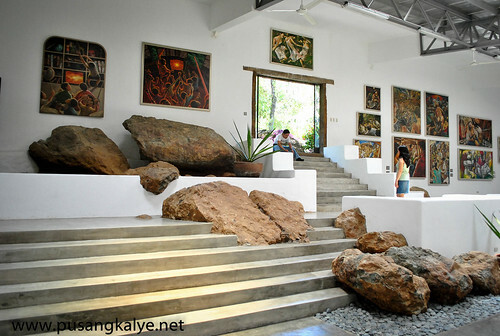 I attempted to go to PINTO ART MUSEUM a few months ago but I failed.It was due to my ignorance on museum schedules that's why. 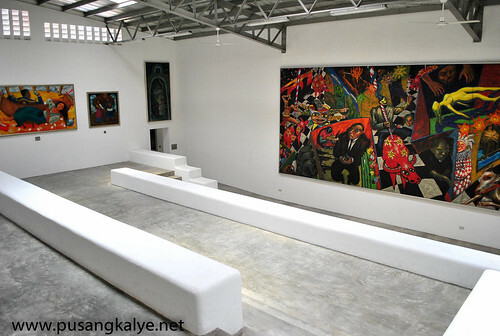 I didn't realize Mondays are off days for museums.hahaha. 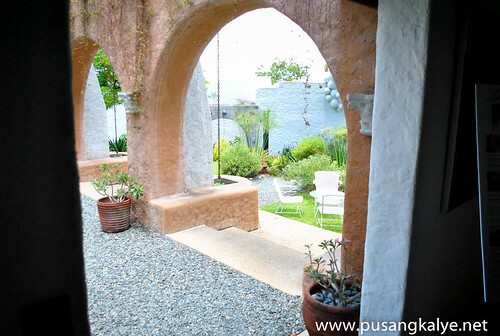 I heard so many things about this place---good ones of course, and during my last visit, I was awed at how lovely the place is even from the outside. 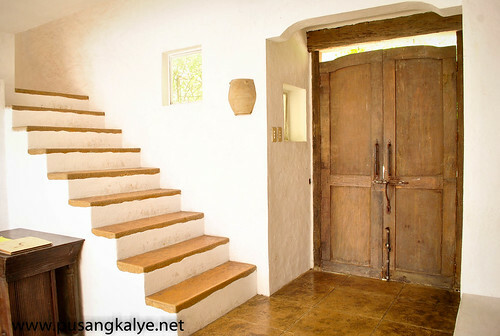 It pays to be persistent though. 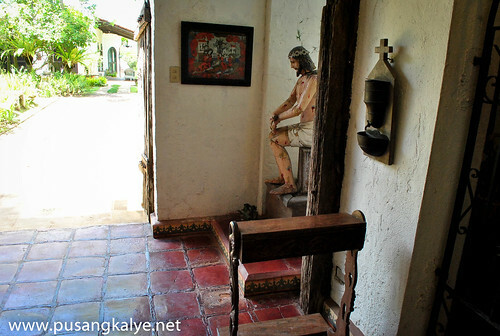 Since my wife was away and my friend Clint was on vacation, I convinced him to drop by the place before hearing mass in Antipolo church a few weeks ago.I was awed at how good the place is.Pinto museum now ranks #1 in my favorite museum thus far. 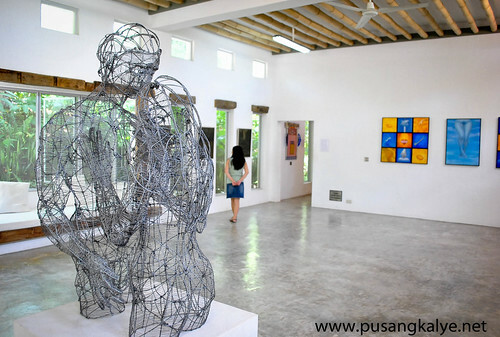 I heard it took more than 2 years to plan,construct and organize this project but it finally opened in December 2010 as PINTO ART MUSEUM nestled within the confines of Silangan Gardens. 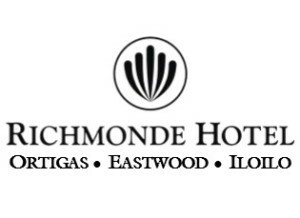 So bago pa pala talaga. 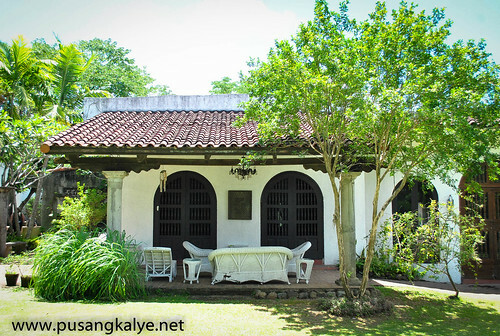 **Silangan Gardens is home to the Silangan Foundation for Arts, Culture and Ecology---a non-stock,non-profit foundation spearheaded by Dr. Joven Cuanang. 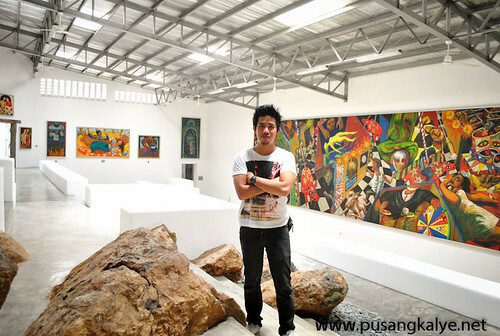 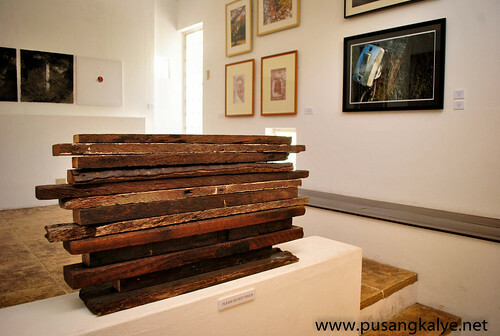 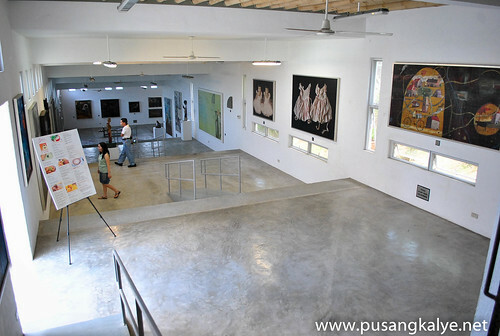 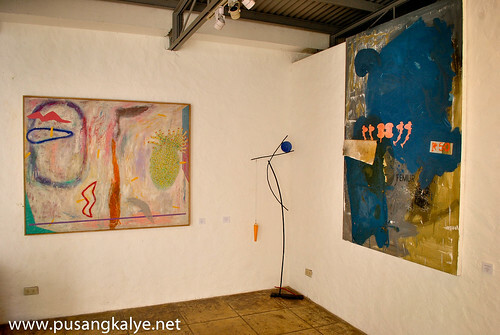 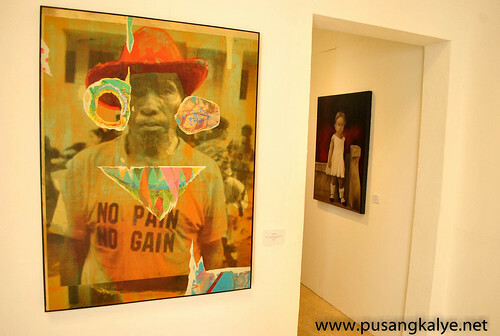 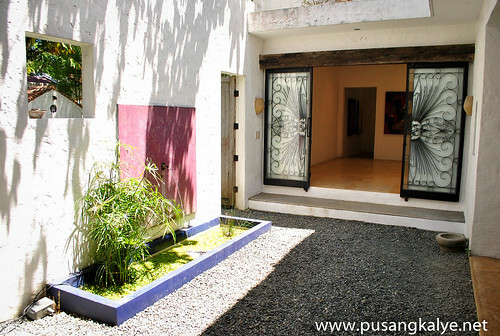 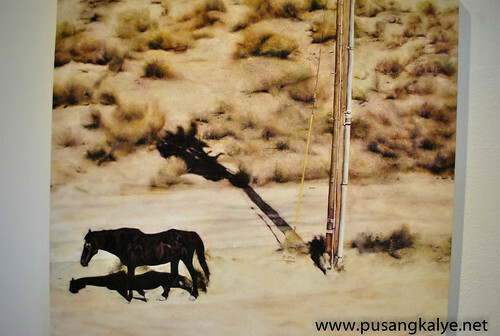 **PINTO ART MUSEUM is the newest addition to the Silangan Gardens. 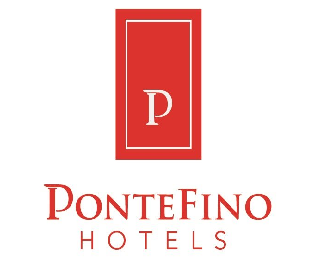 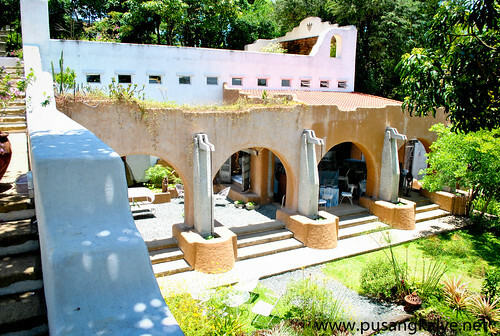 **the architectural complex is designed by artist Antonio Leaño. 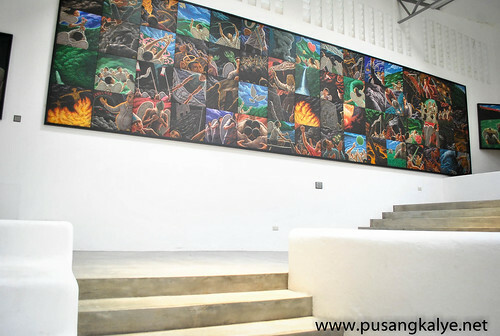 Displayed in the museum is an extensive artwork.And believe it or not, these are all collections of the Cuanang from 1986 to present. 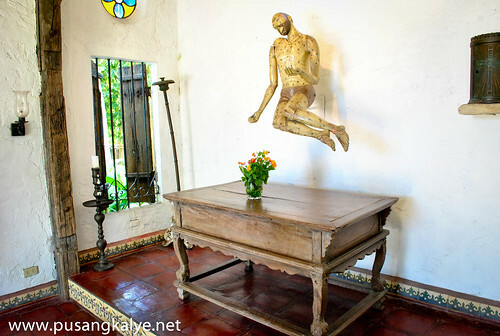 Jaw drop! 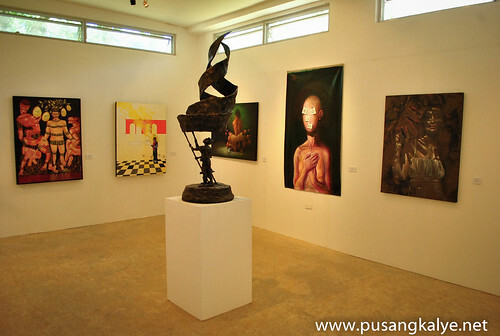 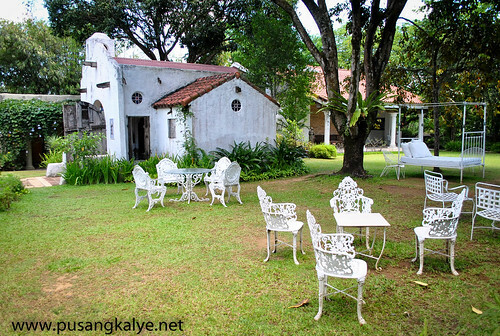 The Silangan Gardens and Pinto Art Museum (PAM) are also well know for events. 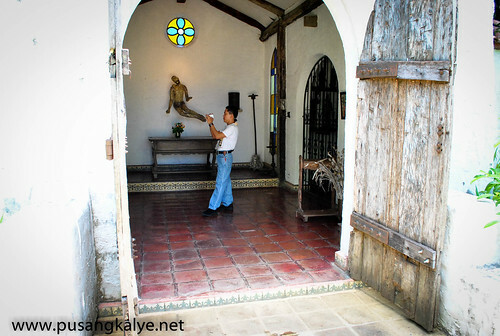 To say well known is I guess an understatement.Many dream of being married here on their small,intimate chapel . 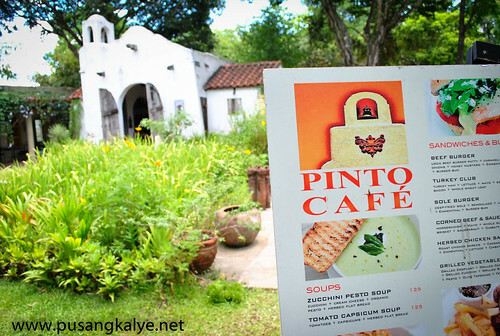 And what about a birthday party at PINTO CAFE? 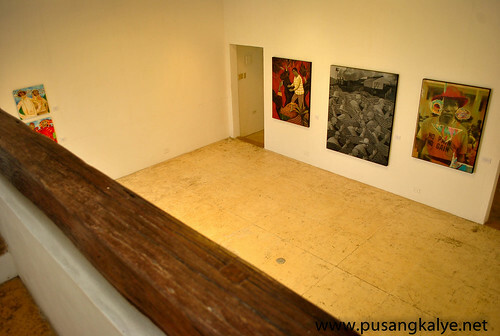 on top of one of the Galleries.This is where a wedding or birthday reception could be held. 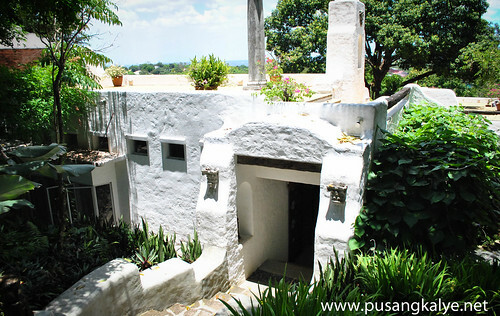 If you find the food at Pinto Cafe a bit pricey, andyan si Ate to save the day with her 10peso toron and 20 peso maize and 20peso buko juice.Sarap! 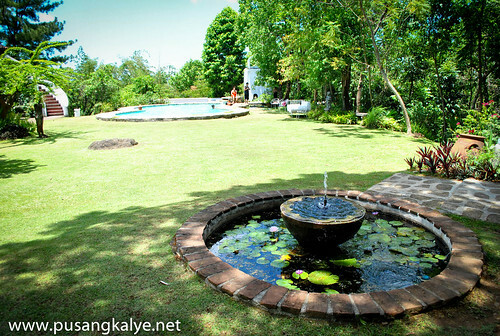 This came as the biggest surprise.A pool in a museum grounds? 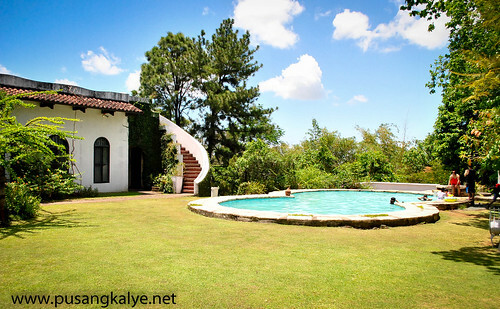 But this is an events place in as much as it is a museum so a pool is perfect for party reception as well.I am not sure but I am assuming that the building near the pool could serve as an in house accommodation for guests so I imagined a night party of some sort.Perfect! 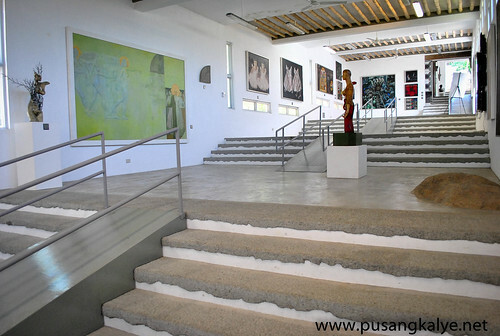 And just when I thought my eyes have seen all the collection, meron pa palang mas malaking Gallery sa pinaka-baba.Wowness.I was really awed at how spacious this Gallery is.And they even cared for the impaired,there's a wheel chair access.Galing! 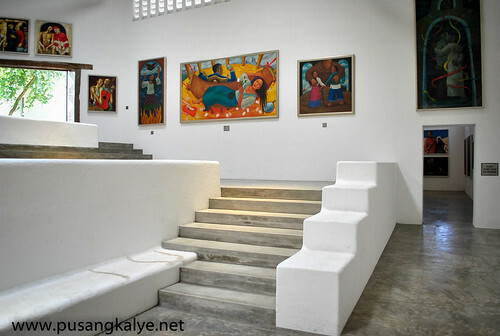 There's one more section I missed though, the art collection inside the building photographed below.Whilst i could have opted to peek inside, I thought of reserving that for another visit.That time, i want to bring my wife with me.For sure she will droll over the art pieces she will find here in PINTO ART MUSEUM. 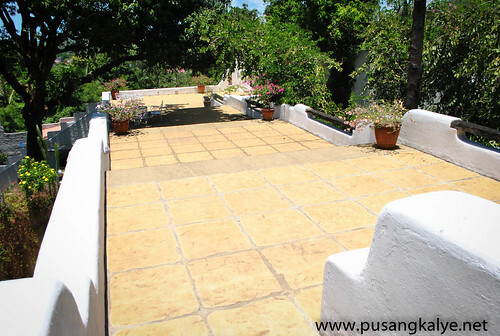 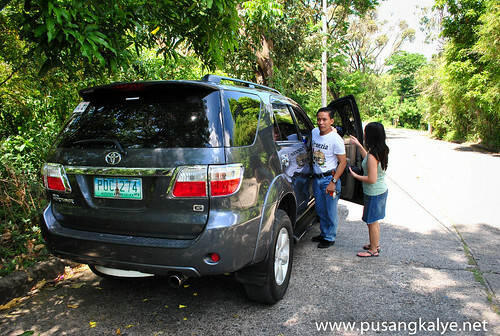 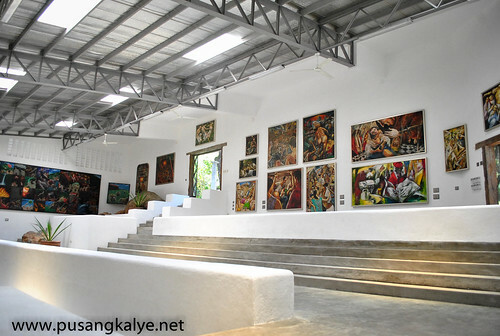 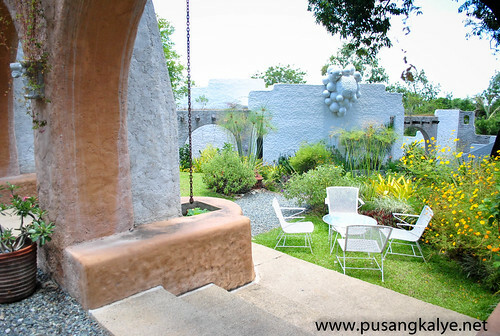 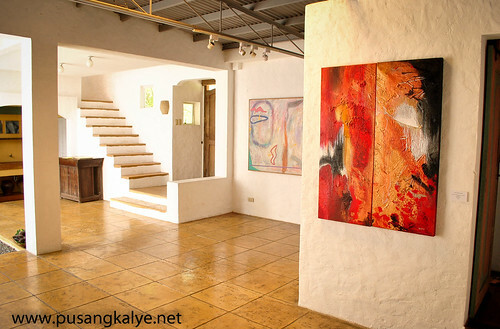 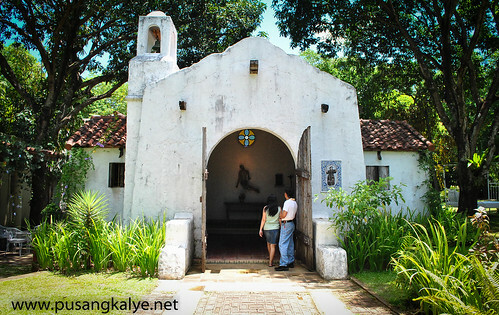 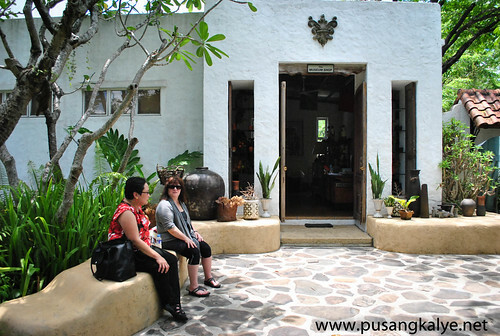 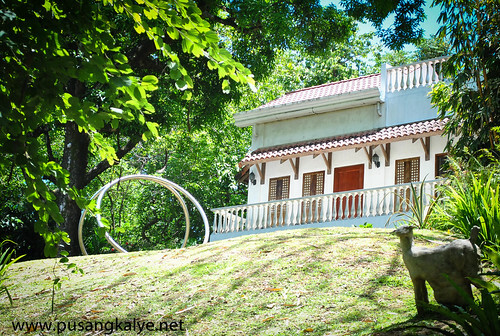 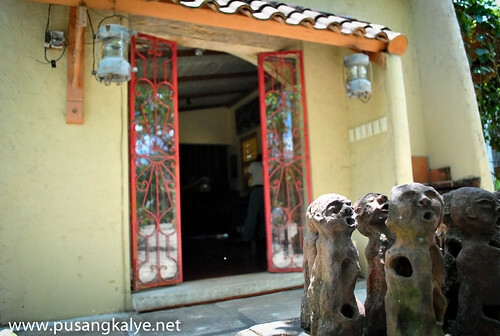 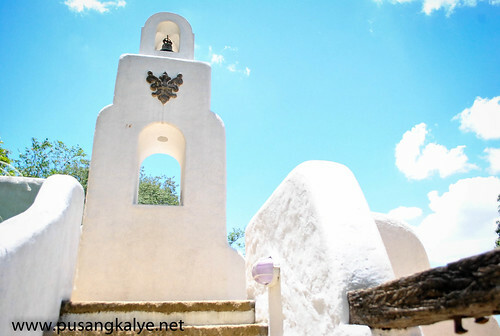 PINTO ART MUSEUM is located at Heights, Grandheights, Antipolo City. 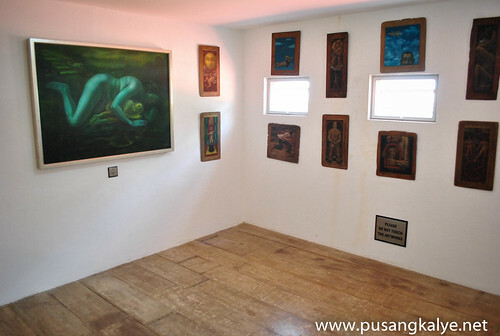 Interesting place. 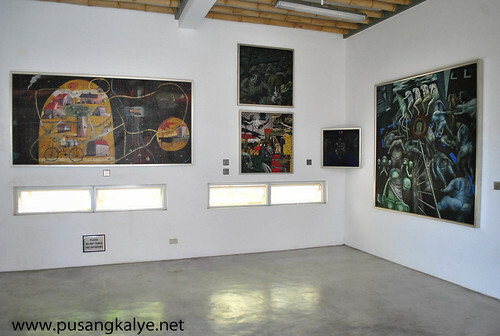 Ipasyal mo kami dyan! 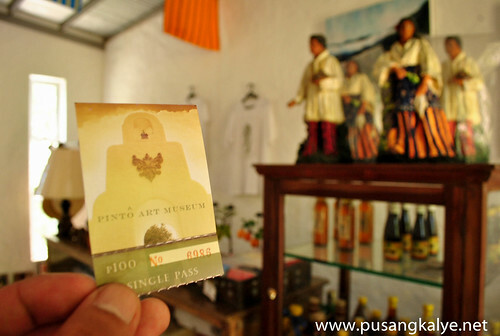 ang lawak pala ng PAM eh... i thought maliit lang sulit na yung 100php mo kung ganun..
Hello Kuya PusangKalye :) It such a beautiful place :) How I wish I can be able to go inside the Pinto Art Museum in Antipolo!  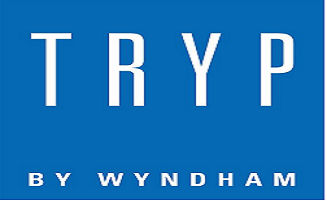 now that's another great add. 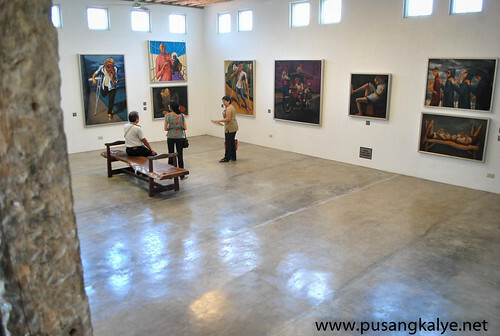 kasi daming magaling sa mga pinoy at buti dumadami na yung mga museum na world class sa bansa. 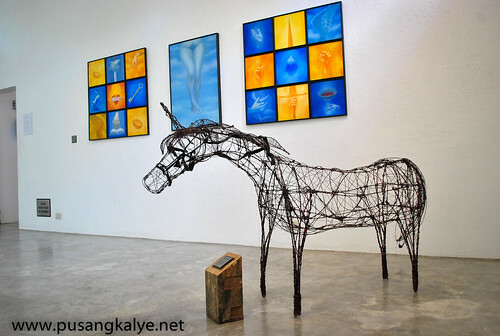 wow nice naman nito. 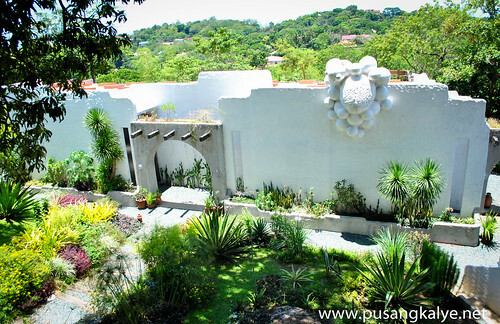 may ganyan pla sa antipolo! 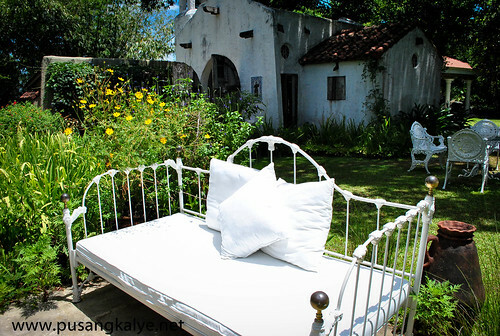 :) cool! 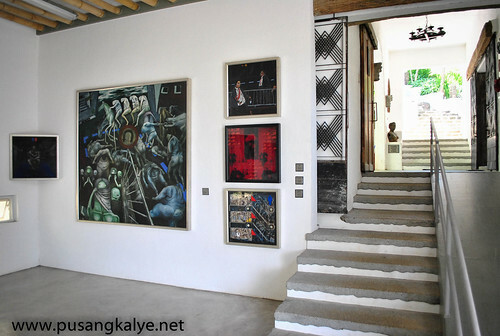 Very impressive, indeed! 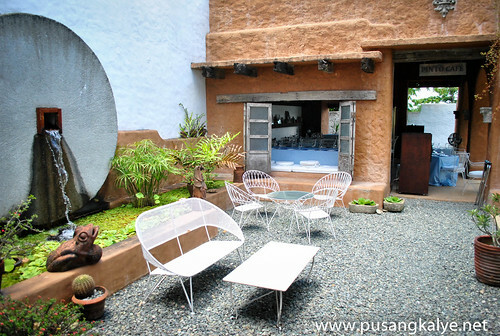 I like the ambience. 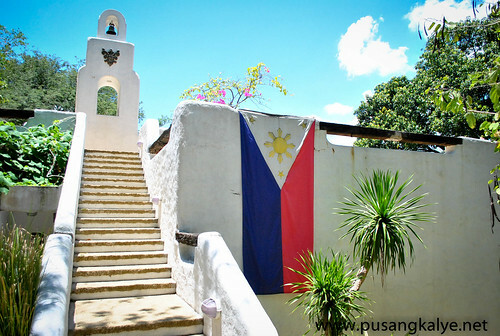 However, the position of the Phil flag needs to be reorientated with the BLUE colour placed on the RIGHT (or facing downward when up a flag pole) to signify that the country is NOT at war. 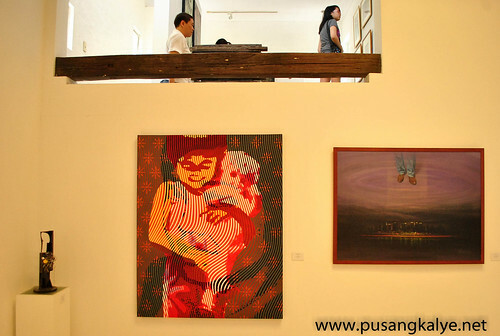 Perhaps, the new generation doesn't know the symbolism of the positioning of the flag anymore. 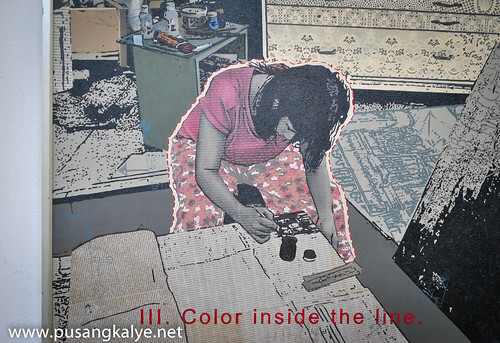 I can't help but comment. 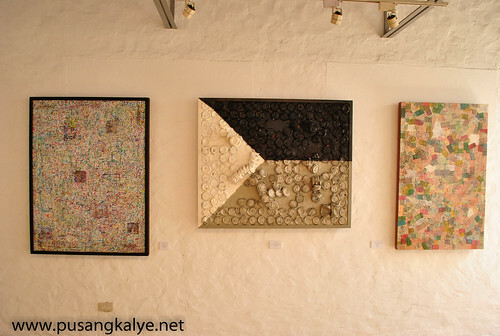 The position of the Philippine flag is correct. 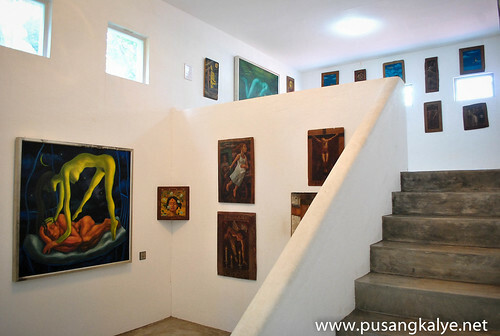 Section 10. 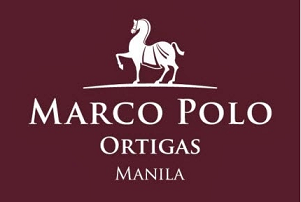 The flag, if flown from a flagpole, shall have its blue field on top in time of peace and the red field on top in times of war; if in a hanging position, the blue field shall be to the right (left of the observer) in time of peace, and the red field to the right (left of the observer) in time of war. 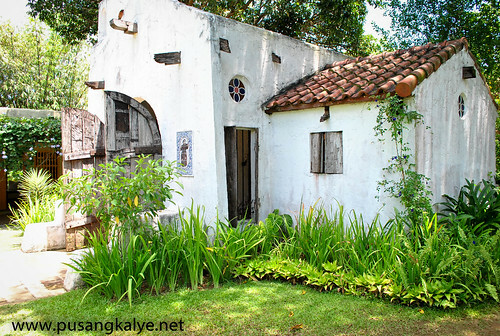 I MUST BRING MY BOYFRIEND TO THIS AREA IN OCTOBER! 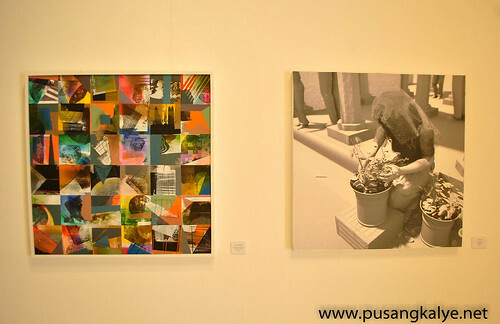 we are both art enthusiasts! 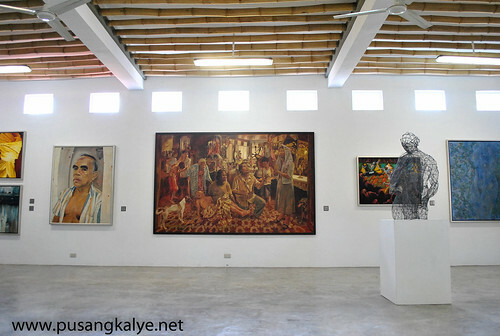 kaya lang ang onti ng mga art events and exhibits dito sa Manila. 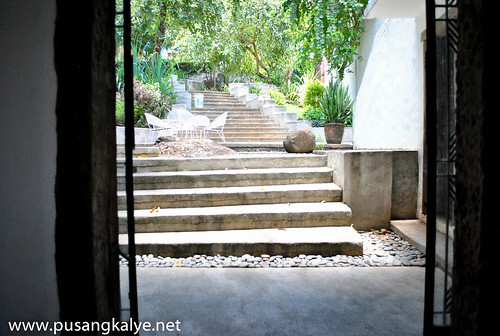 Meron man napaka-layo from where we live. 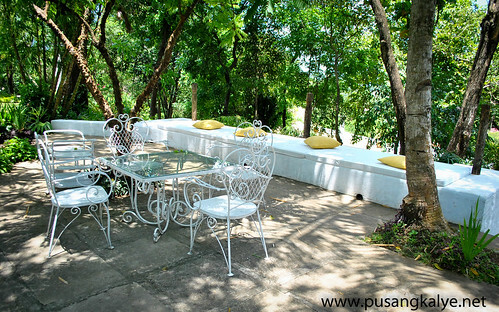 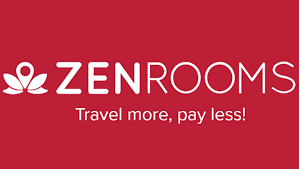 :-( Will definitely make this a day trip.